Although the most important person in a Shinto shrine is the priest (kannushi), when you think about Shinto the first figure that comes to mind is the miko. 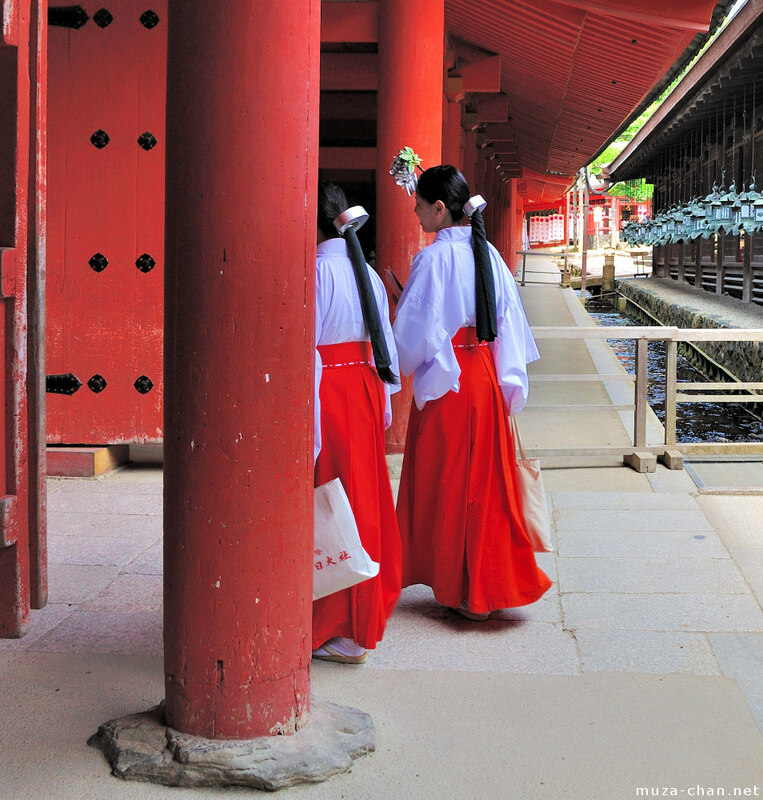 These young women can be seen at almost every shrine, helping the priests and selling omikuji (fortune telling), omamori or ema. Actually, they are more than simple helpers, the main job of the miko being to perform the Shinto ceremonial dances called kagura. I always like to take discreet pictures with them while they perform their duties, because they look simply perfect in their traditional clothes, with the white haori (the kimono jacket) - white symbolizes purity - and the vermilion hakama. Actually, I once dressed myself in such a costume and I loved it!